Nearly as important as meeting engineering specifications for rock is getting the rock delivered on time, in the correct quantity, and to the exact location required. The Teevin Bros. trucking fleet is up to this task. Using one of the newest truck fleets in the area and with truck drivers hand-picked for their rock hauling expertise, we can match the right truck to the job on hand. The ubiquitous dump truck offers close-in, tight space, and swift delivery. Our drivers set the chains and spread crushed rock with tight controls, significantly reducing the need for additional grading and leveling. Add in the ‘pup’ trailer, and the truck and pup combination can deliver up to 30-tons of rock to your job site. When large volumes of rock are called for, side-dumpers and belly-dumps deliver the rock with efficiency. Fast to load and faster to discharge, these truck and trailer combinations keep job sites charged with rock material – up to 25-tons per delivery. Our drivers work in partnership with our quarry crews and your engineer or contractor. Together they save project time and expense by ensuring the right product is delivered when needed, providing just-in-time quantities, and offering the ability to change products as development conditions require. 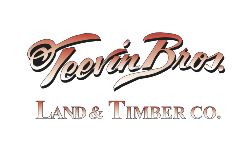 When purchasing rock from Teevin Bros. we will offer truck delivery. If you have questions before hand, Kandy Olson can provide the answers.